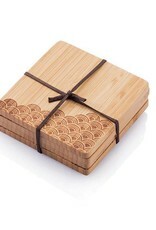 Each coaster is 3 3/4 inches square with gorgeous vertical grain and your choice of a range of seasonal and stylish motifs burned into each coaster. Use them indoors or out, on the road or at home. They are hand-washable in warm, soapy water, and their smooth bottoms won’t scratch the surfaces of furniture or counters. Perhaps it’s taken you this long to realize what’s missing from your counter top or bar, but now that finally know, isn’t it a relief? 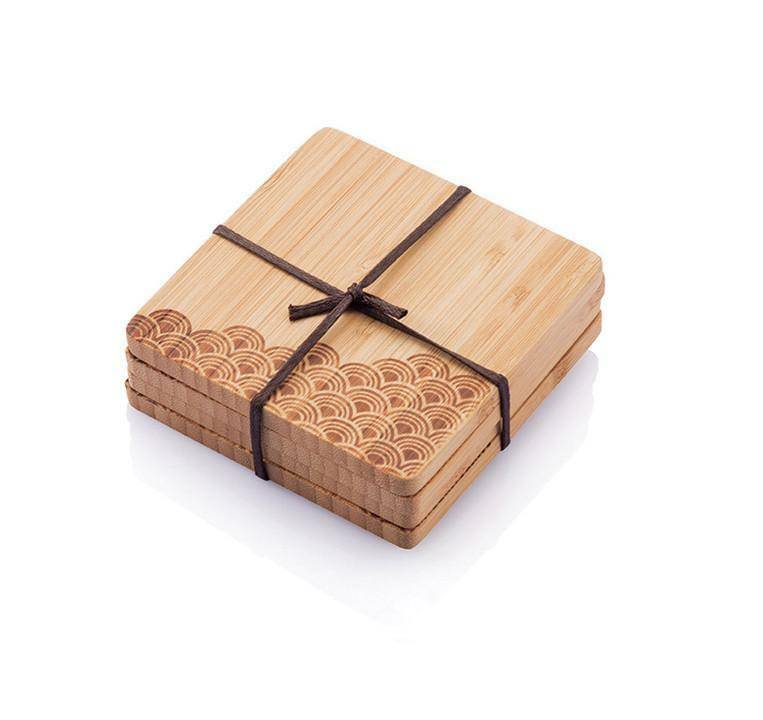 Whether you are entertaining or enjoying your favorite hot or cold drink, our hand burned bamboo coasters will keep your surfaces ring and spot free for years.